Time for the NOTW. 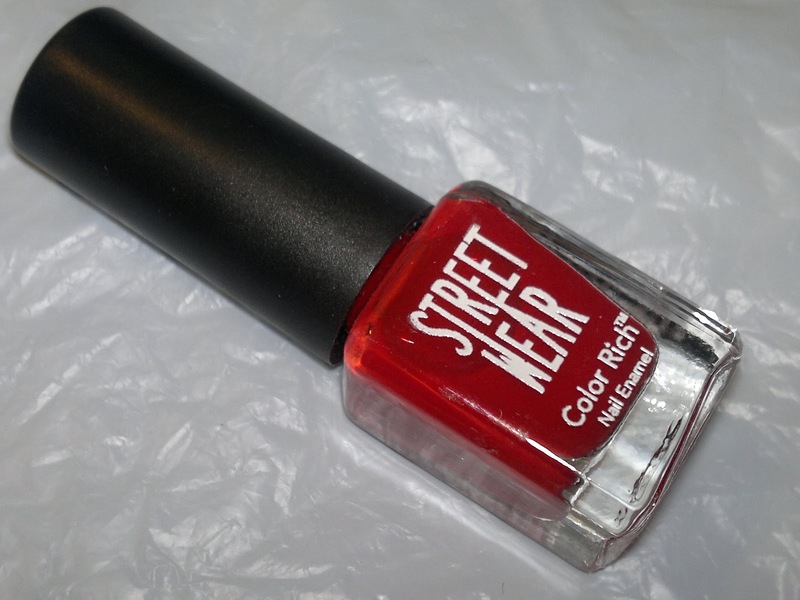 I got this StreetWear Nail Paint Bridal Red #115 recently but never used it until recently. Though looks maroonish in the pic below, the color is actually very pretty red with orange undertones, the kind of one which I always wanted. Price: INR 45 for 5 ml of the product. Packaging is pretty cute with a small square glass bottle containing the product and an ok quality brush. 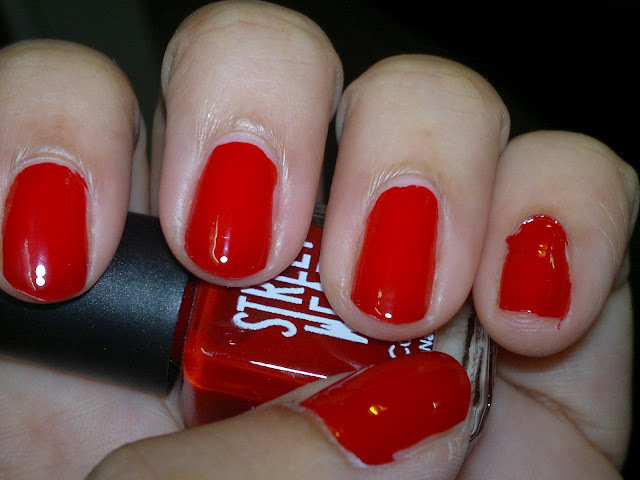 The nail paint quality is quiet ok if you compare it with the price paid, stays on my nails for 3-4 days with minor chipping from the tips. 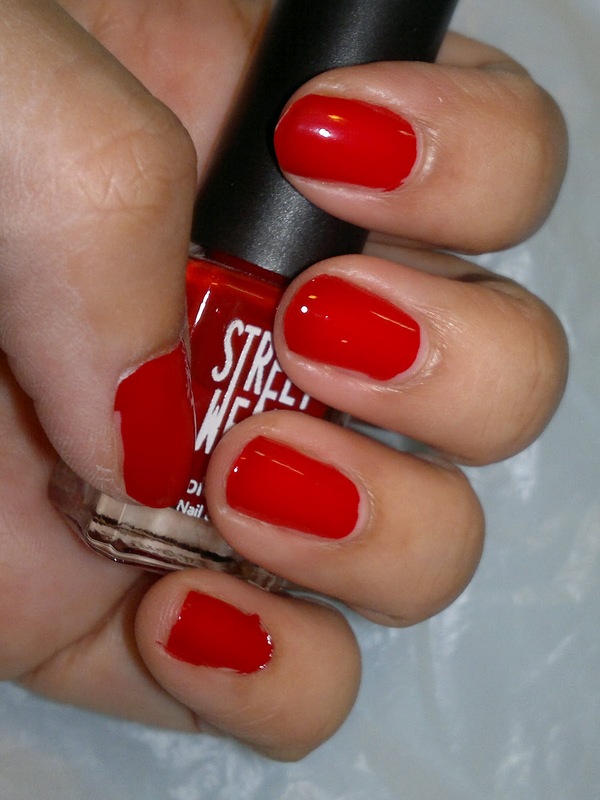 Texture wise it is quiet excellent with the fluidity being comparable with nail paints of known brands. Pigmenttaion wise the nail paint is pretty nice as you can see from the pics above. 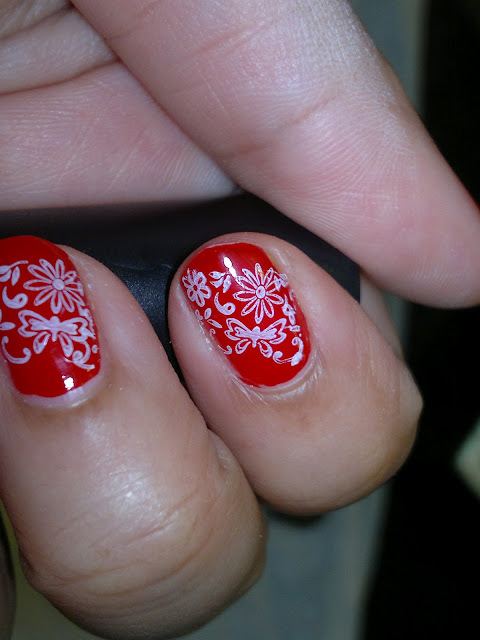 And here comes the nail art, which I tried with Konad Image plate #65 and white from Chambor French Manicure Kit. 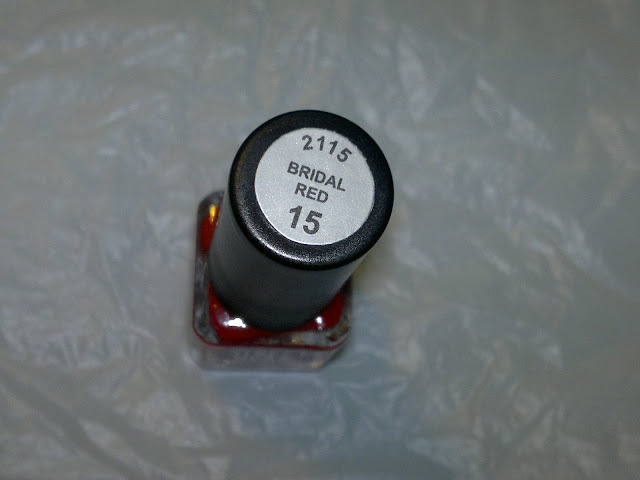 In fact I have found that the nail paints for white tips are perfectly thick for using with Konad Image Plates. 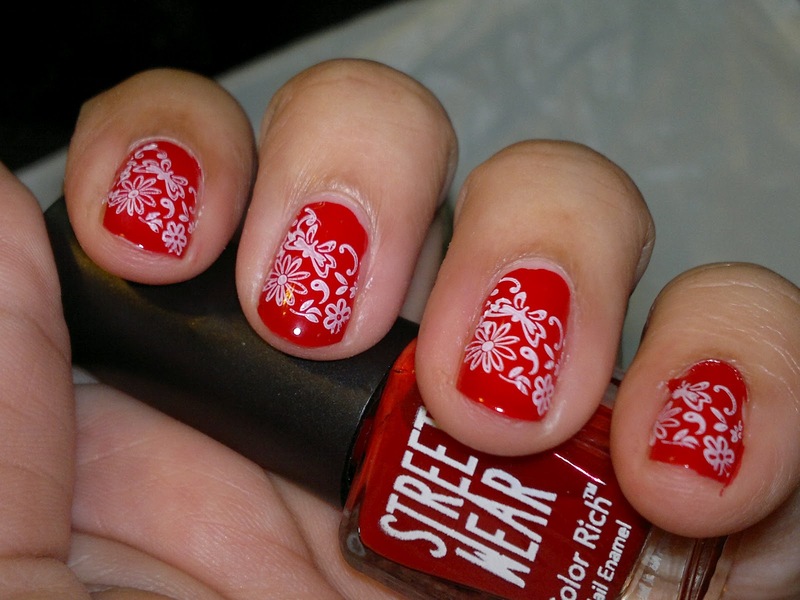 What do you guys think about the nail art? Do let me know in the comments section below. your nails are looking awesome kumkum..very pretty..